January may now be a distant memory, but for those who adopted ‘Veganuary’ it may well have been a significant turning point. According to research over a quarter of evening meals in the UK are vegan or vegetarian. 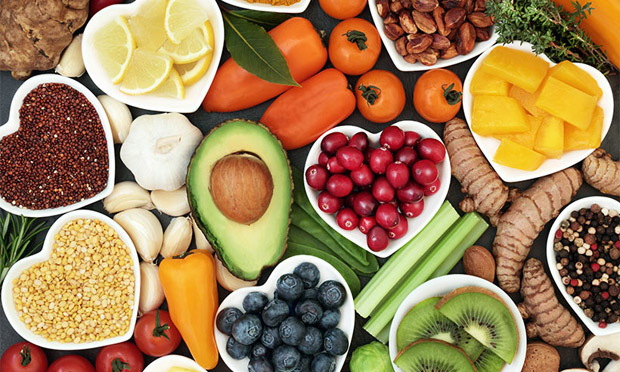 And the signs are that the new wave of veganism is far more than a passing fad – particularly if sales of spinach and Quorn are anything to go by (up by 43% and 16% respectively). In fact, market research firm Mintel says 11% of UK consumers have tried to follow a vegan diet and 31% of under 35s say they are interested in trying it out in future. (Indeed, we believe some of those 31% opt to be ‘vegan-for-the-day’ when invited to large catered events such as weddings)! Anyway, with celebrities such as Lewis Hamilton and Miley Cyrus embracing a vegan lifestyle it’s understandable that veganism is gaining momentum. Goodness, even Gordon Ramsey has said he’ll give it a go! So that means a plant-based diet avoiding all animal foods such as meat (including fish, shellfish and insects), dairy, eggs and honey - as well as products like leather and any tested on animals. So, what does this mean for caterers? Well here at Expresso we’re no strangers to catering for guests with special diets – including those who opt for a plant-based diet. In our St Georges Street café, we offer soy and oat milk as dairy-free alternatives (great in hot drinks, smoothies, shakes and porridge) and are at present trialling new vegan sandwiches and cakes. When it comes to special event catering, our table feasts lend themselves particularly well to an ‘inclusive’ dining experience. Otherwise, as a matter of course, we will prepare special dishes for those with particular dietary requirements – including vegans! As a guest, if you are a vegan – or indeed have any special dietary requirements – please just make sure you remember to tell your hosts/us in advance! And if you’re the host don’t forget that wine and beer aren’t necessarily vegan friendly!